I’ve been searching for a soundtrack to set to the last lazy days of summer. Something that fits with a mojito by the pool. If you’re aching for the same sound, the debut album from Tropics is just that. Parodia Flare works as a perfect soundtrack for the remaining days of sunshine and hazy beach days. It is dreamy chillwave at its best, without the typical monotony. 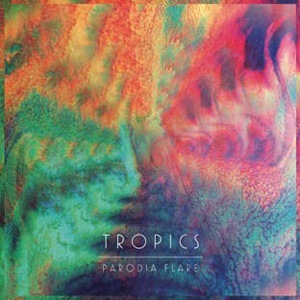 Tropics is actually Chris Ward, a 22 year-old British producer who recorded the album in a walk-in closet. This only adds to the album’s fuzzy, floating sound. Chris also played each instrument on the album, including a vintage Rhodes piano, giving it an almost jazzy undertone. Especially awesome is the track “Figures,” which is reminiscent of artists Caribou and Toro y Moi, mixed into a stiff drink. It starts off slow and tentative, with waves of vocals. Then, it builds to a crescendo with synthesizers and percussion. By the time the song peaks, you’re in too far to go back. Also fantastic is the following track, “Tesselar.” This one is comparable to the sounds of Washed Out, full of shimmer and liquid. The remaining tracks enhance the mood. Simply put, Parodia Flare is a perfect addition to your end-of-summer heavy rotation.